← Musicians and politicians—what could go wrong? 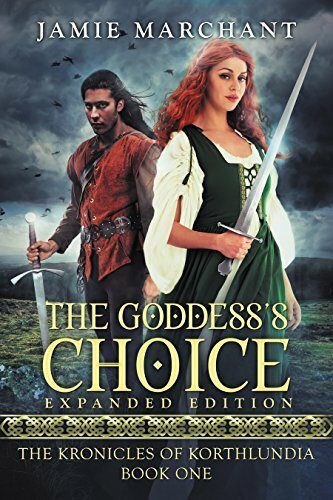 I’m delighted to spotlight Jamie Marchant and her Fantasy novel, The Goddess’s Choice. He returned to the horses, loaded the supplies on Wild Thing, and rode in silence to the abandoned stable. Robbie led the horse inside. When he lit the lantern he kept there, he let out a whistle of amazement. The horse was a bronze-colored mare that looked more like it was forged out of metal than living flesh! But the horse’s impossible color wasn’t the only thing that struck Robbie. Sores spotted the beast’s body; puss and blood oozed from under the saddle. The horse’s coat was matted with dried blood. Her ribs stood out in stark detail. How could anyone neglect a horse so badly? 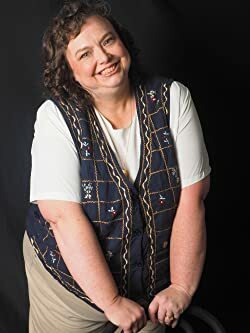 “Where could you have come from, girl?” Robbie could feel a wail building up inside the horse, so he hurried to take the armor and other equipment off her back, unsaddled her, and removed her harness.